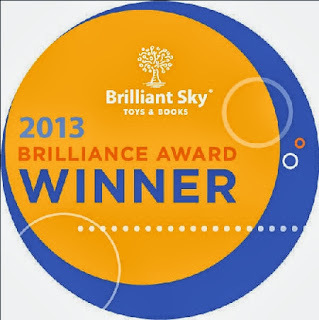 Disclosure: I received a toy from one of the Brilliant Sky Toys & Books specialty stores to help facilitate my review. All opinions stated however, are genuine and my own. Brilliant Sky Toys & Books is one of those great store finds you come across that can change the way you view shopping. From the personal feel of the store, to the quality of the toys and books, to the free gift wrapping, it is just one of those kinds of places that makes you feel happy to be there. BRILLIANT SKY TOYS & BOOKS has taken this concierge-style concept and made it a year-round thing. If you are lucky enough to live close to one of the 15 Brilliant Sky Toys & Books specialty locations, may I encourage to you to go visit? We have one about an hour away from us and we plan to head on up to it after Thanksgiving to get some of our holiday shopping done. Founded in 2002, in Lansing, Michigan, the goal of the former Fortune 500 manager and his wife was to create a fine, upscale specialty store, based on the belief that the 'right playthings give children a gateway to physical, emotional and cognitive development.' The store was created to offer the highest quality products in an inviting atmosphere that was both active and interactive. 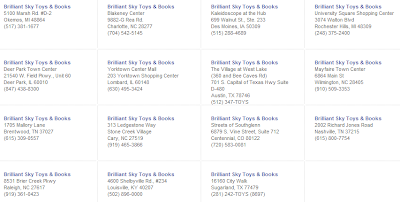 They succeeded in that task, so much so that Brilliant Sky Toys & Books now has over 10,000 high-quality specialty products, in the 15 stores located above. And my two personal favorites that received the award (though I really do like all of them), are the Melissa & Doug Deluxe Standing Easel and the Magnetic World Map from Janod. 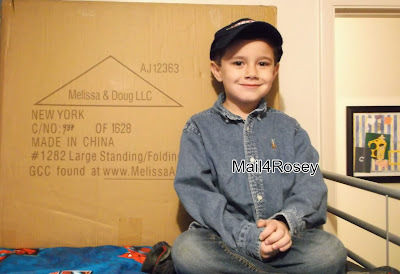 We actually received the Melissa & Doug Deluxe Standing Easel, and as you can see from the picture above, it's bigger than my son. I've promised him we'll assemble it this weekend, and he's more than a tad excited. When it is opened and put together, it will have a dry erase board option, a chalkboard option, or the easel will hold big sheets of paper so children can draw or paint. I'm not sure if we'll use a brush and paint, or finger paint (while little man's still young enough to enjoy getting messy and using his hands). We'll probably do both. The Melissa & Doug Deluxe Standing Easel is double sided so two children can work at once, and that is my favorite feature! That means when we have my nephew over to spend the night, he and my son can make their creations at the same time. I already know that's going to be fun. The easel also has an art station on each side, because although sharing is encouraged, it's still nice when you're painting or drawing to have access to what you want, when you want it. 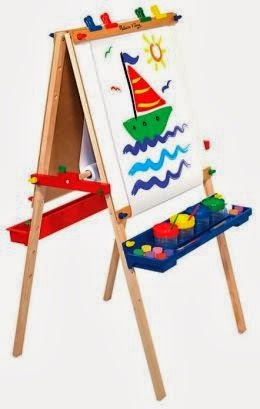 The Melissa & Doug Deluxe Standing Easel retails for $59.99 and is recommended for children ages 3+. Magnetic World Map from Janod from Brilliant Sky Toys and Books on Vimeo. The second favorite of mine that I mentioned, the Magnet World Map from Janod can be seen in the video above. Isn't it great? I'm thinking this is going to end up under our Christmas Tree this year. It's just too good of a learning opportunity, that I know will still be fun, to pass up. 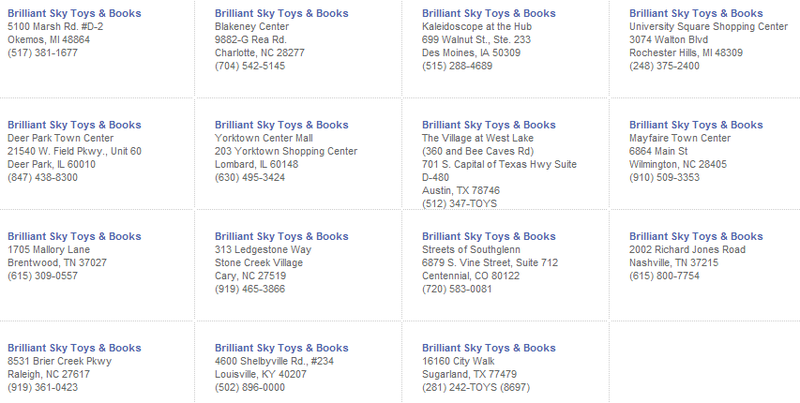 Do you have one of the Brilliant Sky Toys & Books stores near you? If so, with the upcoming holidays approaching, and the peak time for toy shopping about to be in full swing, won't you go visit one? Not only will you help support your local community, but you will be helping to support the overall wonder of which Brilliant Sky Toys & Books is comprised. There is also a free app you can download if you have an iPhone or an iPad and it can be found here. We don't have one near us. I wish we did. It sounds like a fun store. Omaha's signature toy stores are Wishing Well, Learning Express, and Fat Brain Toys. I think it sounds like a fun store too. It will be especially fun, I think, when the holidays roll around. Thanks for your visit, Alissa. I have never heard of this place but I would for sure go if I can find one. I am headed to check now. I bet there has to be one in Pittsburgh. If not, there should be. I like that they gift wrap for you, that's great any time you need it, but especially during the holidays when there's already so much wrapping to be done. This place sounds fabulous. I love the kinds of toys found here and in the local smaller toy stores your husband introduced you too. Come to think of it, my husband did the same for me. They are the best! I wish we had more toy stores around us like this one. I love Melissa and Doug toys but in order to get them I have to order them on the internet and sometimes I just want to see them first! I love Melissa & Doug toys too. I was happy to see their easel received one of the Brilliance Awards this year. When my daughter was younger I lived in Zany Brainy. It's gone but I still have some of the things I had gotten for her and use at my library. There's a Learning Express that sorta fits the bill. All of our toy stores are big box chains. I sometimes think it would be very lovely to have a little toy store like this. Kinda like the little book store they had in You've Got Mail. I didn't see the movie, but I think I saw a clip of it with that store! Unfortunately none of the stores are anywhere even close to me-I live in NY. I do prefer shopping in little stores where you always seem to get personalized service with a smile! Thanks for stopping by. You've got a BIG store I would def. make an exception for to visit in your state. The most famous toy store, I know. :) I'd love to see it. Fantastic! We have one in Charlotte which is about twenty minutes from me! Woot, I hope you go and I hope you love it! I never heard of it, I wish there was a place like this by me. My husband is a big fan of local toy stores too. They have some great toys that you can't find anywhere else! These stores sound great Rosey! With the holiday season fast approaching it definitely sounds like the place to go shopping for children. You are right, it is very important to support local small businesses. They really breathe life into the community. Plus, toy stores are just fun. I think this would be a nice change of pace from the hectic pace of shopping, I so totally agree with you! i actually have never heard of them, but I will check and see if there is one around me. This place sounds awesome! Wow! Thanks, Katherine, I think this was a great concept, I'm glad to have come across these stores too. Too bad as we don't have this store in our area. How exciting it will be if we have one. Hubby likes to buy toys for the kids. You are lucky you got to review that. My daughter wants an easel and would love this one. Isn't that easel great?? I love Melissa & Doug items. Thanks for the visit! He's going to LOVE that easel! Mica and Isaak never grew tired of theirs. Travis still gives Mica word math problems on there in the morning. Isaak draws, and tries to write on there all the time! Two boys, two sides to the easel. Perfect! Ooh, we do have one near us! Classic toy stores are such a treat for my kids. I love taking them places that aren't just rows and rows of plastic licensed toys. WE don't have one but it sounds like my kind of place. Me too, Lisa. Have a great weekend. I like the personal feel of local stores and I agree we should always support them when we can. That easel I hope will be timeless. My daughter would be using it as a classroom board. As her bedroom is the classroom most evenings. And gift wrapping is always nice, esp on the holidays. This place sounds awesome. Unfortunately, we don't have one near us...That's a cute pic. of your son. I am sure he will enjoy the easel. If anyone's reading this particular comment, and you know Krisi, she's celebrating her wedding anniversary this weekend, woot! i don't have a store like this near me, but it looks like they have a nice selection. Def. a lot of great items to choose from. Thank you for the visit! 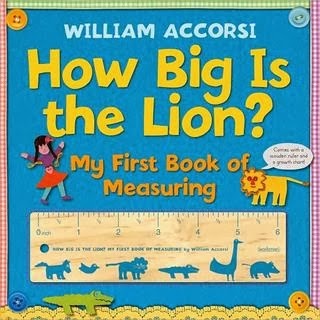 How Big is the Lion sounds like a great book! I love them all but that one would definitely be my favorite. I think I would love that book too!! Little ones love to be creative and this easel will give your son many hours of entertainment. All of the toys from this company look great. Thanks, Cynthia, I think so too! Have a great weekend. I wish we had one near here. It sounds like a great store and there is nothing I love more than spoiling my son with learning toys. 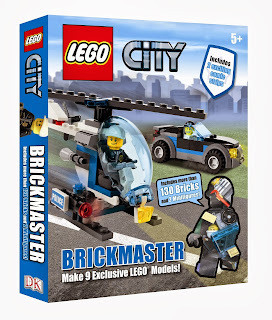 I think we do not have Brilliant Sky Toys & Books close to us, we have similar to it called Mastermind Toys and my little one loves this store. I think they are only in Ontario. The smaller stores are so much nicer for shopping. I don't have one near me. Thanks for stopping by to visit/read! 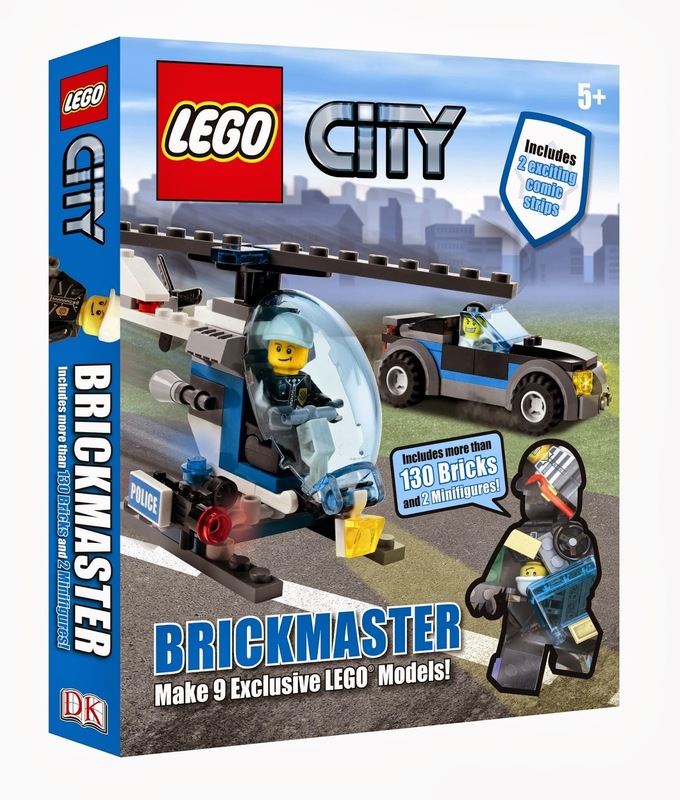 There is a similar store somewhat near me, but most of the toy stores in the area are chains. The toy stores like that really are nice, aren't they? They take some of the stress out of busy shopping.